We are proud to offer quality materials for children and families who are dealing with childhood cancer. 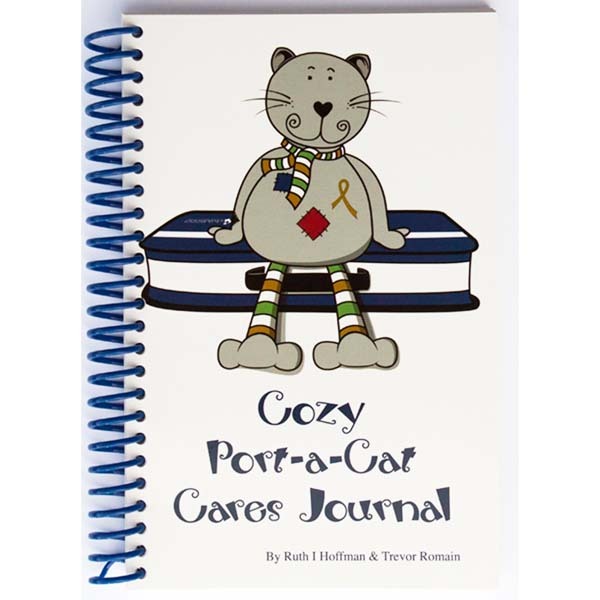 In addition to books published by ACCO, please be sure to check out ACCO’s other free materials including our mascot “Cozy the Port-a-Cat”, the Comfort Kit and the Medical Play Kit. The books in this section are published by the American Childhood Cancer Organization. We will provide a copy of the books listed below, and our other resources at no cost to families of children with cancer. A parental resource that provides a way to document medical treatments, hospital contact information, treatment expenditures, and local resources. This log book also contains information about clinical trials, treatment procedures, blood counts, side effects, a journal section, and a place to take notes. 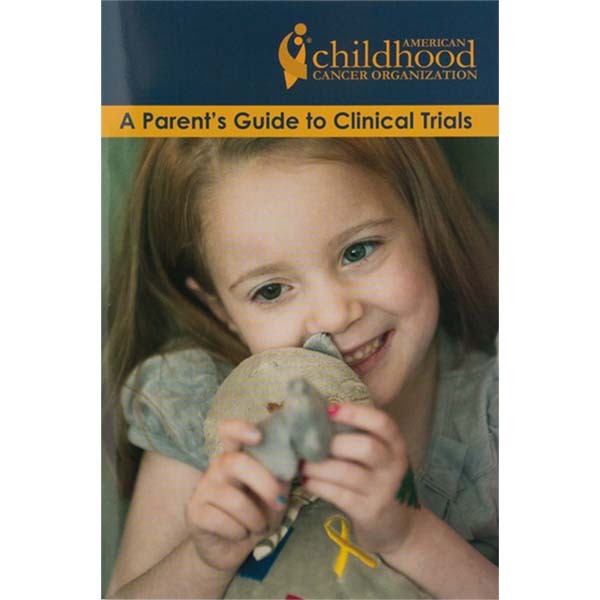 A concise reference guide which explains what clinical trials are. It defines in easy to understand language, a clinical trial’s process and structure. Click Here to view the Clinical Trials E-Book. A 368-page comprehensive resource that guides the family whose child has been diagnosed with a diffuse intrinsic pontine glioma through this difficult diagnosis. Chapters are written by pediatric neuro-oncology experts and cover all aspects of treating a child with a DIPG including diagnosis, imaging, pontine function and anatomy, steroid treatment, radiation therapy, radiosensitizers, surgery, chemotherapy, and biologics. Helpful chapters on the loss of communication and caring for the child at home provide practical advice. Research chapters focused on animal models of DIPG, stem cell research, vaccine research, convection-enhanced delivery and genomic research provide hope for a brighter future. The final chapters on organ and tissue donation as well as integrating palliative care answer the questions that families ask at their child’s end of life. 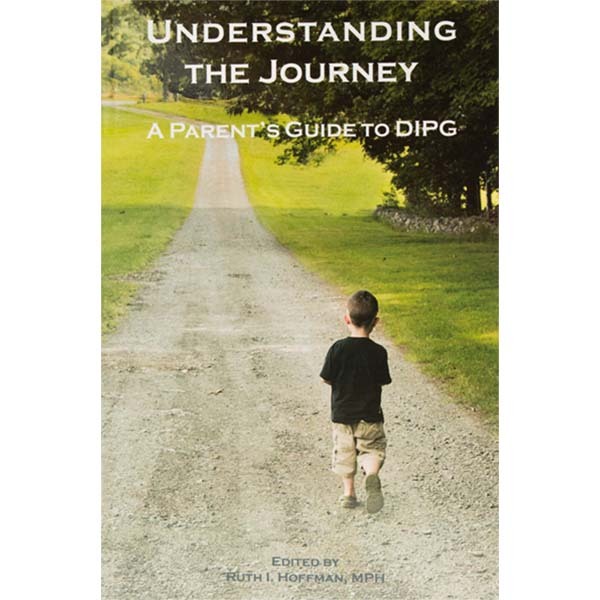 The book includes 164 parent stories that provide personal insight into the DIPG journey. An essential resource for families who have faced the childhood cancer diagnosis. 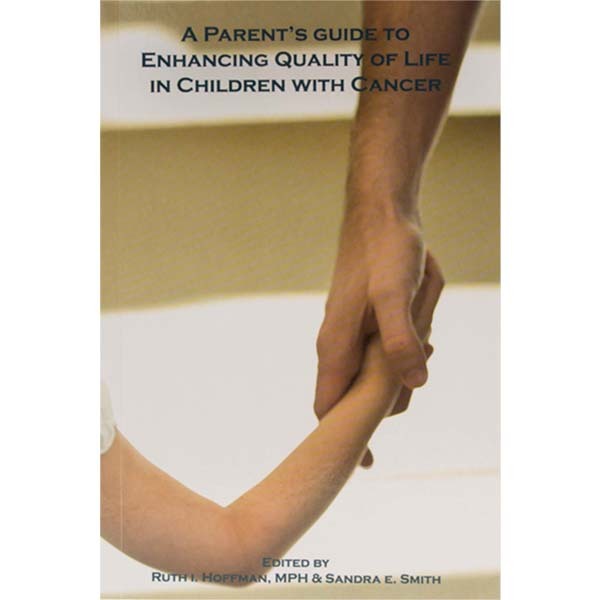 Written by top researchers in the field, and balanced with parents’ personal experiences, this 334-page resource focuses on educational issues for children treated for cancer. It is intended to promote understanding and communication between parents, educators and medical professionals so that together they can provide an appropriate education for children who have been treated for cancer which in turn will lead to a productive and rewarding life. An essential resource for families who have a child diagnosed with cancer. Written by experts in the field, and balanced with parents’ personal experiences, this 261-page resource focuses on improving the quality of life of the child through an understanding of pain and symptom management, enhanced communication skills and practical ways to simply help sick kids be kids. 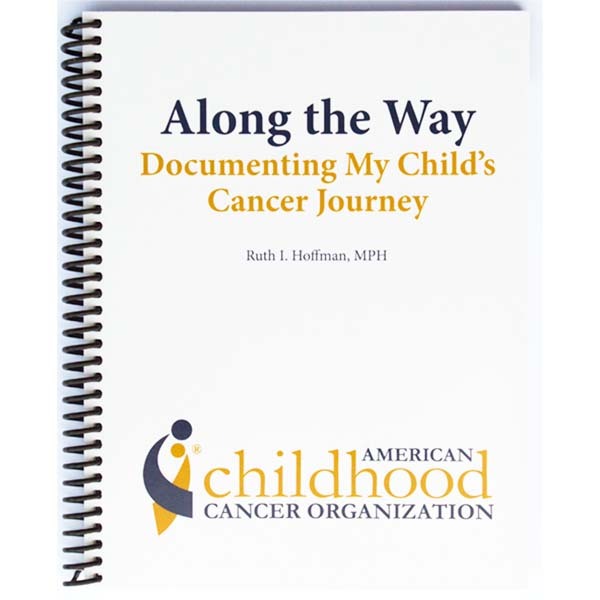 A fun keepsake that provides a way for the child to document his or her cancer journey. While it is a helpful tool for the child undergoing treatment, this journal is also a cherished treasure for family and friends, who can read it and experience the cancer journey through the thoughts and words of a child. A Cozy-Port-A-Cat and colorful Gesture Pen may also be ordered with this resource. 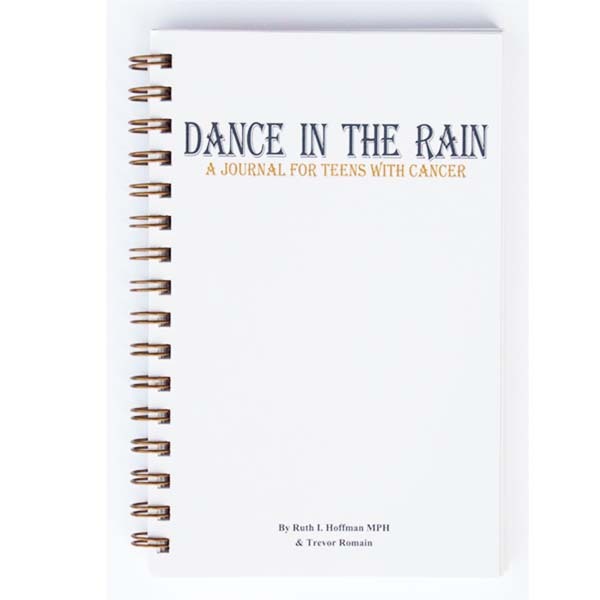 A Teen Journal that allows adolescents a place to write out their thoughts and feelings throughout their cancer journey. This resource is accompanied by a wooden pen and pencil set. A 200-page resource that provides practical advice for children diagnosed with cancer between 6 and 12 years of age. 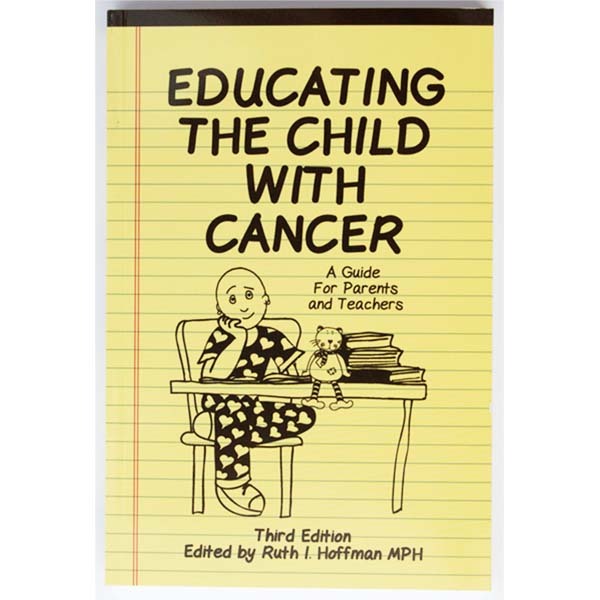 Warm and funny illustrations and easy-to-read text help the child (and parents) make sense of cancer and its treatment. La Fantastica Hannah: Miren todo lo que puedo hacer! For Spanish-speaking children diagnosed with cancer between one and five years of age. 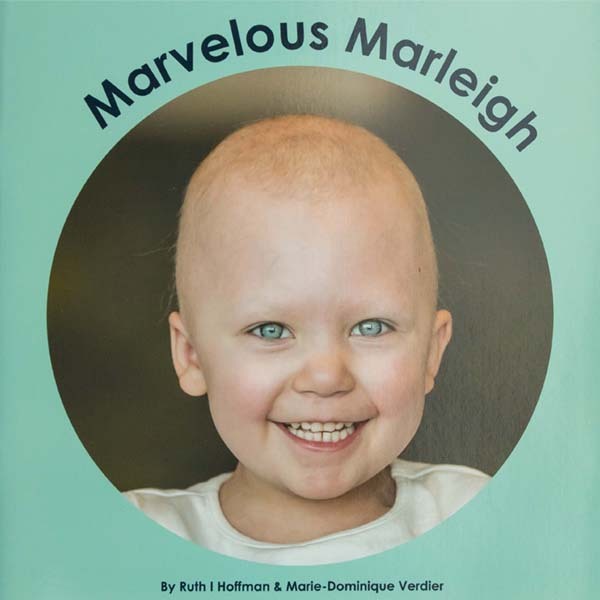 This 28-page picture book is written for the preschool (1 to 5 years) child who has been diagnosed with cancer. Through real-life photos, children will be able to identify with Hannah’s hospital stay, special friends, tests, treatment and germ care. 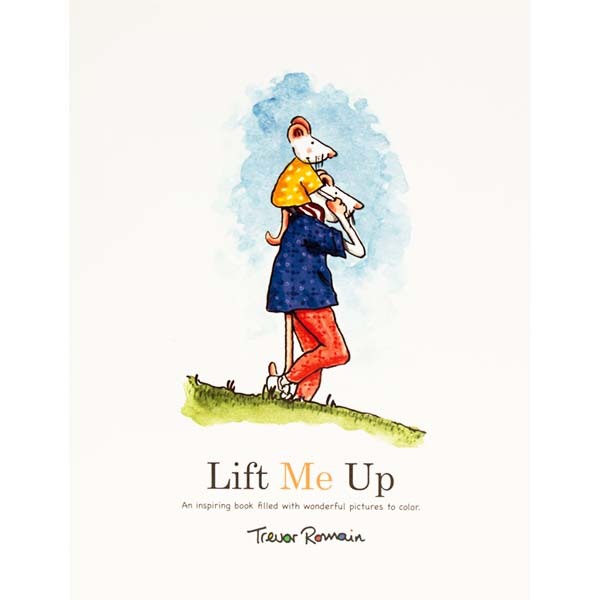 For ‘Sibs’ of Kids with Cancer, Oliver’s Story is a 40 page illustrated book targeted for the 3-8-year-old sibling of children diagnosed with cancer. 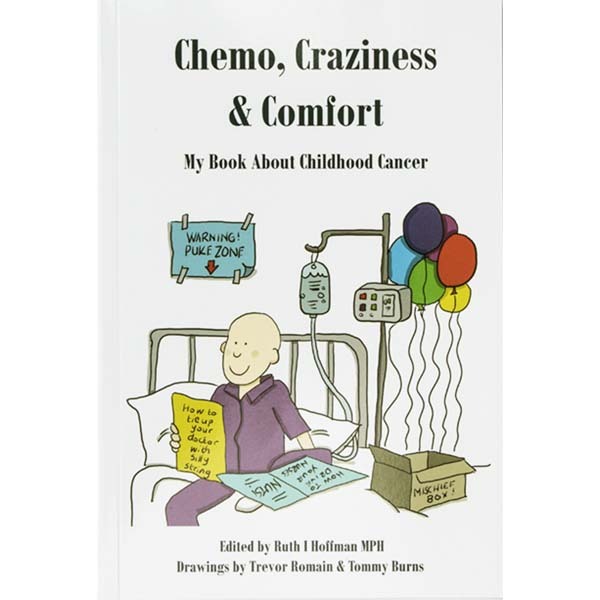 Illustrated by Mike Dodd and written through the eyes of his six-year-old son Oliver, this resource focuses on the many questions that siblings have when their brother or sister is diagnosed with cancer and offers constructive ways on how they can provide support. ACCO extends their heartfelt appreciation to the Davenport Family Foundation and Computer Associates for funding to make this publication possible. Para los hermanos de niños con cancer, Oliver’s Story in Spanish. This 22-page coloring book is filled with inspirational pictures to color for the 3-10-year-old child diagnosed with cancer. With topics such as healthy food choices and homemade cleaning supplies, this resource provides advice for safe, affordable household practices for families. Provided free to families by the Helping to Heal Foundation.